High school students with an interest in education, and their parents came to visit Indiana State University on Tuesday, Nov. 17. In a day filled with events, the students experienced an actual college education class, toured the campus, and listened to a student panel during the "Teachers of Tomorrow" program. 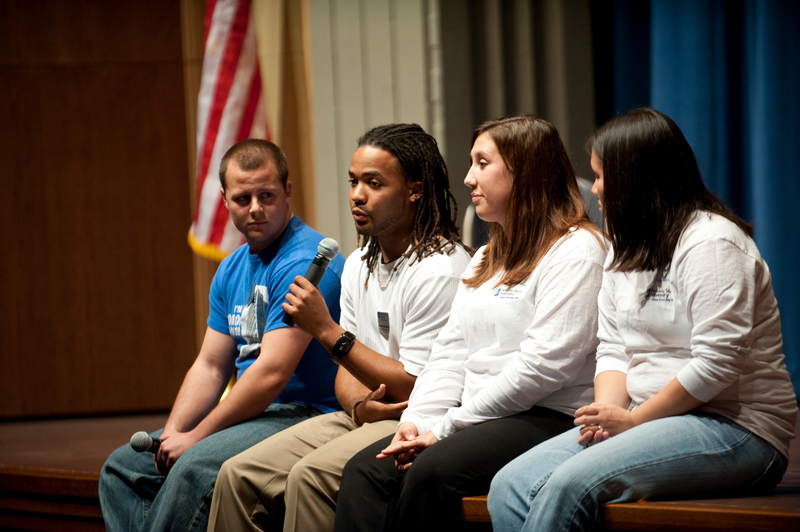 Giving students a broad perspective of what Indiana State has to offer, the event targeted prospective students who want to pursue a degree in education. "This event is different from any other preview day, it specialized in their area of interest in education," said Rebecca Libler, associate dean of the College of Education. About 130 students attended the event from all over Indiana, Illinois and Missouri, according to Libler. Those who attended said the day prepared them for attending college. "The tour made me less nervous. It showed me what the classes would be like, so now I know what to expect," said Grace Jones from Crawfordsville. Jones said that she is interested in majoring in science education. "I've learned that schools are more likely to choose ISU students than students from other colleges to teach," she said. A 30-minute student panel concluded the event. The panel included four ISU seniors who are undergraduates in the College of Education. "How long does it take to finish a degree in education?" a student asked the panel. "Usually four to four and a half years. For me, it's going to take five years because I am a double major," said Russell Dedeaux, a senior elementary education and special education major from Fort Wayne. Other panelists were Mariah Shive and Chelsie Mason, double majors in elementary education and special education, and Andrew McCarty, a science education major. The purpose of the program seemed to work for at least one high school student. "I didn't know much before this. And now I have the info and I'm interested," said Jessica Flores from Merriville. "I think everyone was very friendly and welcoming and the campus is pretty. I might want to go here." 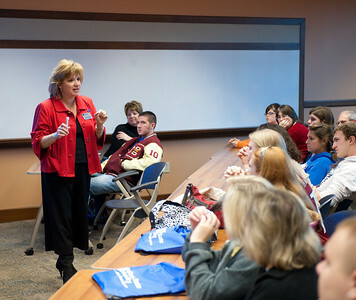 Teachers of Tomorrow gives students a broad perspective of what Indiana State offers in education.